The online application system will begin accepting applications eight weeks before the closing date. Deadline is 15 August 2017. 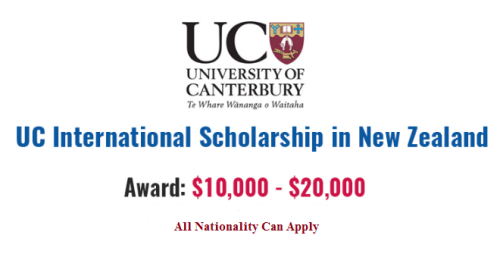 All the information about UC International First Year Undergraduate Scholarships has been delivered nicely; interested and talented students who are eager to pursue their Free Tuition/Scholarships/Study in New Zealand can apply now.